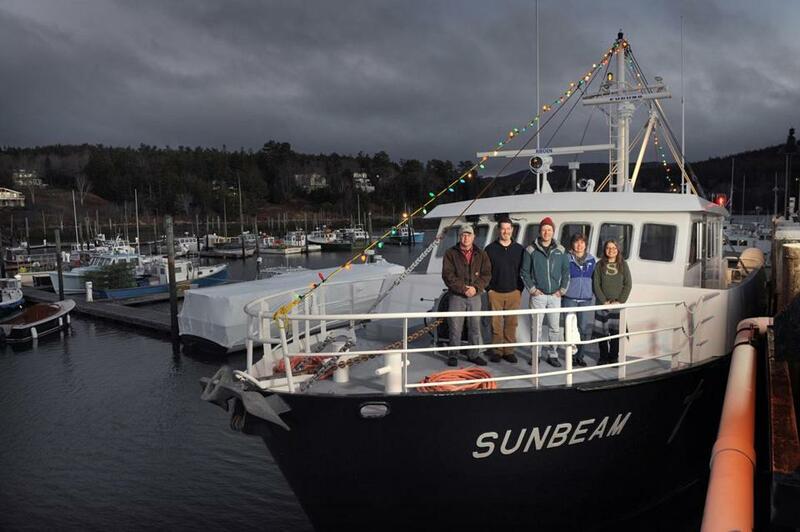 From left: engineer Storey King, island outreach director Douglas Cornman, captain Michael Johnson, nurse Sharon Daley, and steward Jillian aboard the Sunbeam. At noon on a sunny December day, the Sunbeam, flagship of the Maine Seacoast Mission, pulls into the harbor at Matinicus Island. Islanders on the dock wave, then call out to the crew of the 75-foot steel-hulled boat. Captain Michael Johnson and engineer Storey King secure the vessel while adults and children stream aboard. 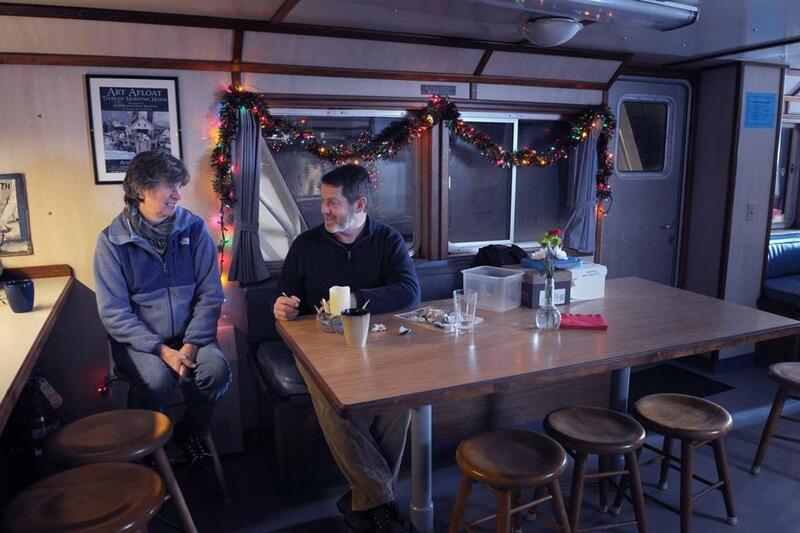 On board, boat steward Jillian (who uses a single name) serves food and coffee in the warm and spacious main cabin. Children gather around a corner table, where a village of gingerbread houses encircles a small Christmas tree. As the islanders socialize, people go one by one to meet Sharon Daley, director of island health services, for medical visits in her small office. Today, one of the most important missions of this 110-year-old organization has become the health services, both physical and mental, that it brings by boat to around 700 isolated islanders, especially during the winter months. 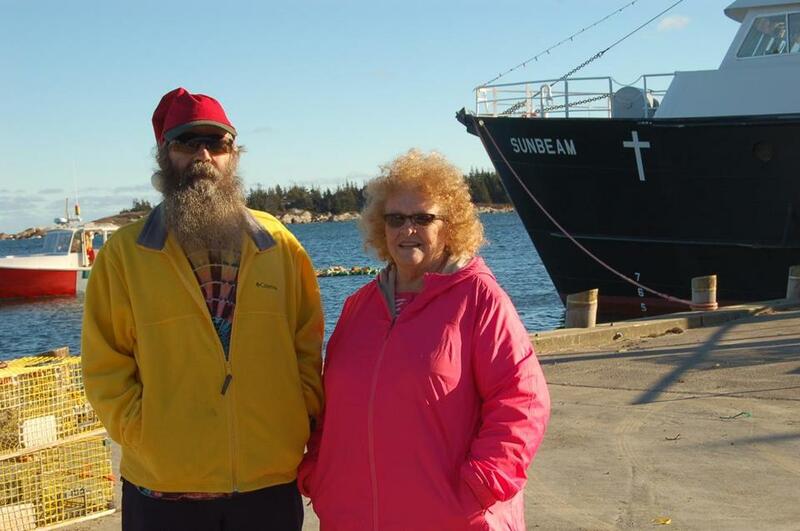 And while those services in part draw on the old tradition of a seafaring church mission, they are also borrowing surprisingly modern technology to reach Maine residents far from health services. Due east of Rockland, with a population of about 75 full-time residents, Matinicus is the most remote populated island along the Atlantic coast. It is one of five islands, along with Monhegan, Isle au Haut, Frenchboro, and Swan’s Island, that sees bi-monthly, year-round visits from the Sunbeam. The harbor at Matinicus Island. The Maine Seacoast Mission, based in Bar Harbor, was founded in 1905, when the McDonald brothers, both Congregational ministers, stood atop Cadillac Mountain and looked out to see the islands — a congregation with unmet needs. Those services are delivered today via the Sunbeam, which heads out for its regular three-day journeys with a crew of five. Built in 1995, as the sixth vessel the mission has used for island outreach, the Sunbeam must often break up ice in winter to reach the isolated communities it serves. 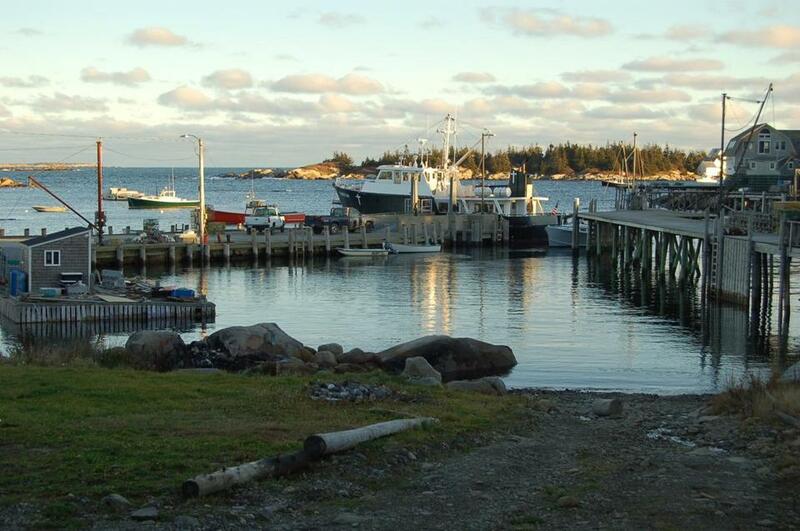 “Last winter, if we had not broken the ice in the harbor, the residents on Isle au Haut would not have gotten their mail or groceries for weeks at a time,” Cornman says. Once the boat is safely in harbor, Daley, a registered nurse, begins her work with residents. Electronic video-conferencing connects Daley and her patients to doctors ashore; today she talks with family practitioner Scott Schiff-Slater in Hallowell, who smiles from the screen against one wall. A high-resolution camera at the end of a probe transmits views of the insides of throats or ears. In real time, doctors see Daley and her patients, giving the nurse directions to palpate an area or asking a patient to turn for a better view. For some islanders, Daley and her on-shore medical providers diagnose medical concerns before they make the trip ashore to see a doctor. For others, she monitors ongoing issues such as diabetes or high blood pressure. Often, islanders come into her office because they want to talk, and they trust her to keep their confidences. She offers practical information, too, like the course in occupational safety for lobstermen she initiated last year. Cornman, who came to the Sunbeam less than six months ago, sees the boat’s telemedicine service as an extension of its initial religious mission. “I think that, soon after they began the Seacoast Mission, they recognized the need for health care and education,” he says. A mental health counselor and dance movement therapist, he has a master’s degree in counseling from Drexel University. He and his family moved to Mount Desert Island when his wife, Jane, became the rector of the Episcopal churches Saint Mary’s in Northeast Harbor and Saint Jude’s in Seal Harbor. Beside the five islands on Sunbeam’s regular rotation, the Maine Seacoast Mission also visits islanders on Isleford, Great Cranberry, Cliff Island, and Chebeague Island. And it offers other programs beyond its island visits, including annual scholarships for island high school students and coordinating the work of other agencies. With 30 full-time employees and an annual budget of $3.6 million, it derives funds from a combination of donations, grants, and an endowment. No money is charged for any of the services aboard the Sunbeam. Robert and Cynthia Young, residents of Matinicus Island. Those who have lived on the islands for years have a longstanding relationship with the mission. In the main cabin, Robert and Cynthia Young chat with neighbors. A lobsterman who grew up on the island, Robert is also the Matinicus fire chief. Some of his earliest memories, he says, are of an earlier Sunbeam coming to the island in winter. “It’s still like that: They arrive, everyone comes aboard. Sharon checks up on you; they bring Christmas presents for the kids,” he says. As the winter sun fades, the islanders go back ashore. The engine roars to life, and the Sunbeam leaves Matinicus to head for Isle au Haut. Regina Cole is a writer in Gloucester.